The frequency at which a pet's teeth need to be cleaned varies with each animal and the condition of his or her teeth and gums. We use a dental scaler to remove tartar from the animal's teeth. Tartar that accumulates along the gum line and in pockets under the gums causes an inflammation and recession of the gums which eventually leads to infection, bad breath, and finally to the loss of teeth. Infections in the mouth may spread through the blood to other areas such as the heart, liver, kidney, and lungs. 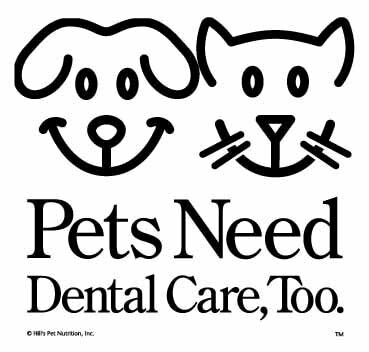 We will scale any plaque and tartar and then polish your pets teeth.